This entry was posted on Wednesday, January 28th, 2015 at 2:57 am and is filed under Uncategorized. You can follow any responses to this entry through the RSS 2.0 feed. You can leave a response, or trackback from your own site. 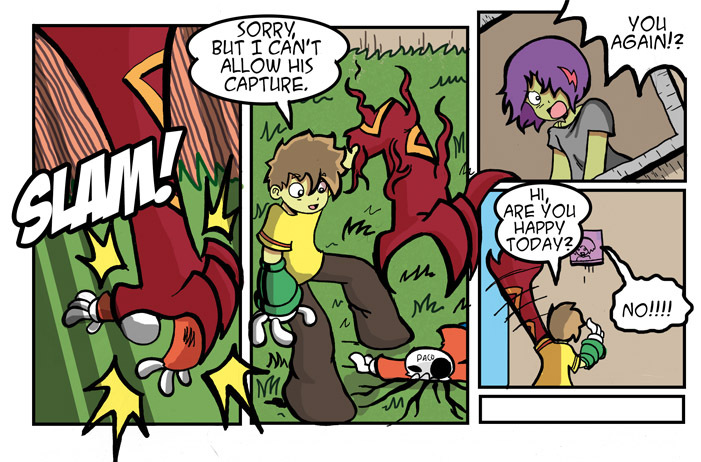 In the second panel are you saying that he the guy with the monster arm, can’t not let the brain bug thing get away or is it supposed to be saying that he can’t let Paco stop it from getting away? He is just the cutest when he says that.